LED Light - Anthony Pool Service - Cleaning Pool Service Pool Service, Pool Cleaning, Pool Maintenance, Pool Shop. 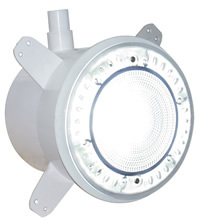 Britestream LED Niche Light is a flush mounted light which protrudes only 11mm from the pool/spa wall. 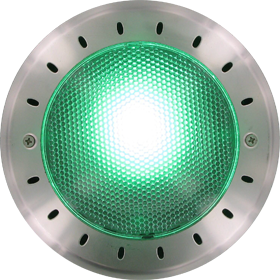 Its energy efficient super bright LED’s are capable of delivering 352 lumens of light* and operates on only 15 watts of energy. 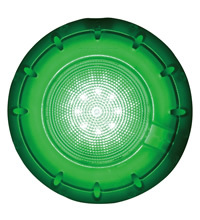 • Multicoloured LED light capable of producing a multitude of different colours without the need for coloured lens. * Britestream White LED’s deliver 352 lumens of light. 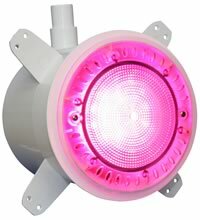 Britestream Multicoloured LED light is a flushmounted light which protrudes only 11mmfrom the pool/spa wall. 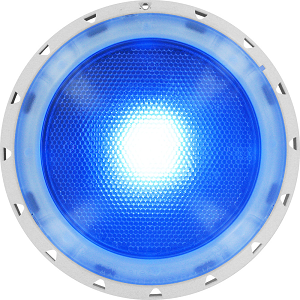 Britestream Multicoloured LED light can produce a multitude of different colours without the need for coloured lens. The light’s multicoloured combinations are easily programmed via its light switch. Britestream Multicoloured LED light canproduce a multitude of different colourswithout the need for coloured lens. Thelight’s multicoloured combinations are easilyprogrammed via its light switch. 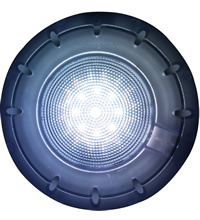 Britestream LED Light utilises energy efficientsuper bright LED’s and operates on only 15watts of energy.